Bucket list #10: to be featured in a magazine—check!! 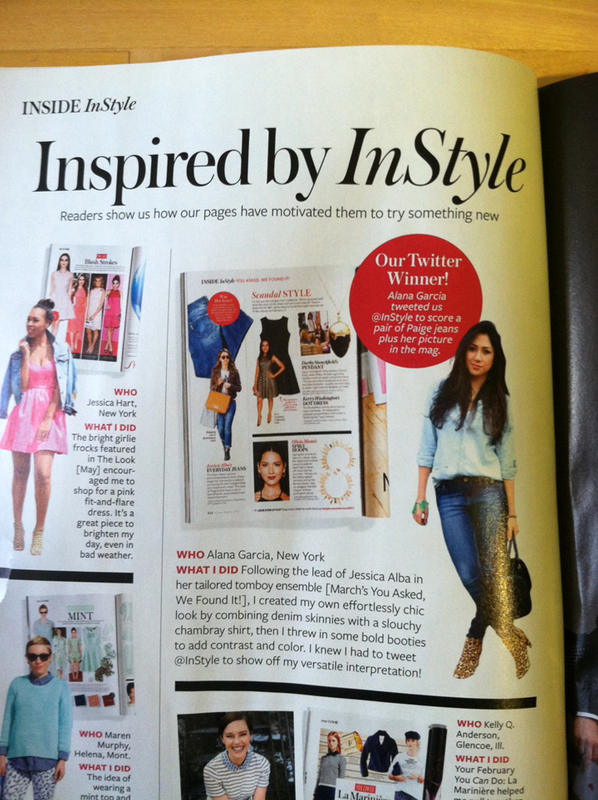 Oh-mer-gerd, someone slap me silly because I’m featured in InStyle’s September 2014 issue! A couple of months ago, I entered a Jessica Alba and denim inspired contest, and I was one of the 10 lucky winners to win a pair of Paige boyfriend jeans. It was an exciting moment—considering the fact that I never win anything—but being selected and featured in the magazine’s 20th anniversary issue/the largest InStyle issue to hit stands was the icing on the cake! So, can I officially call myself a legit blogger now?